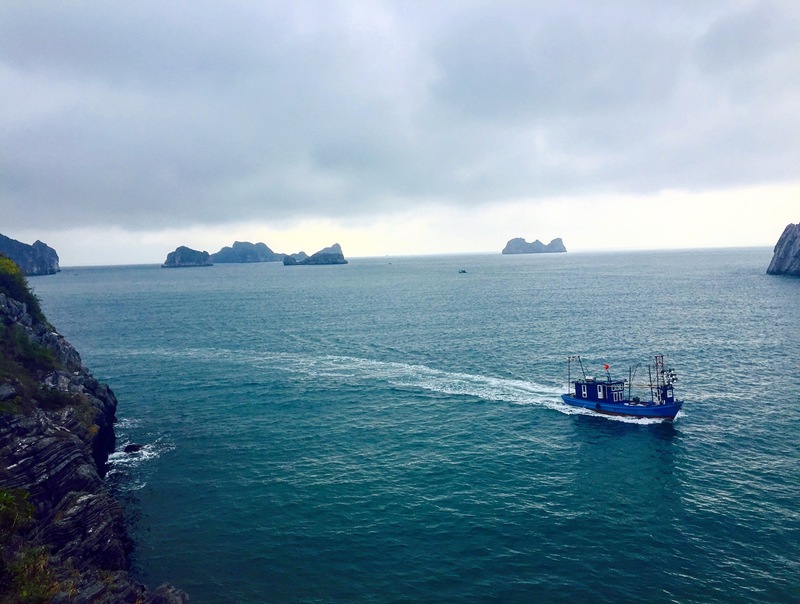 From Hanoi, we got a bus and speed boat to Cat Ba Island, which we booked through our hostel. 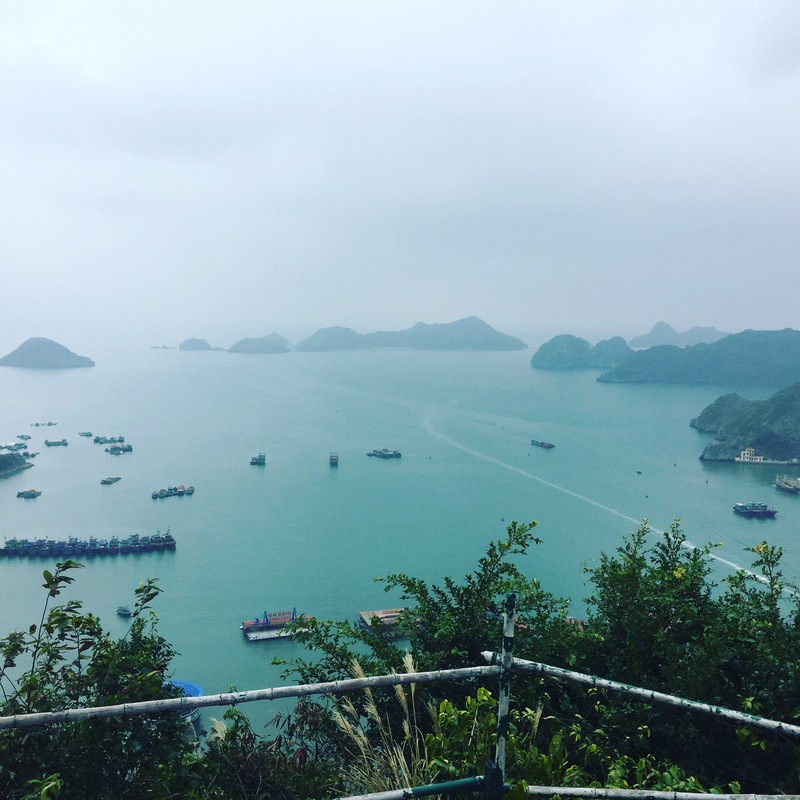 Instead of going to Halong City and then Halong Bay as most people do, many travellers we have met and the Lonely Planet have said that the next bay along, Lan Ha Bay is just as beautiful yet more untouched. 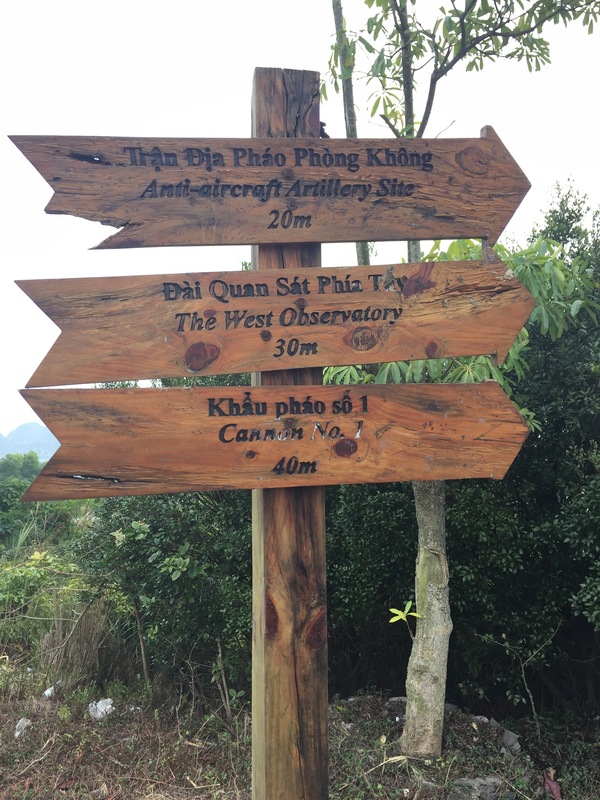 To get to said bay you have to first get to Cat Ba Island as a base, and then book tours from there. 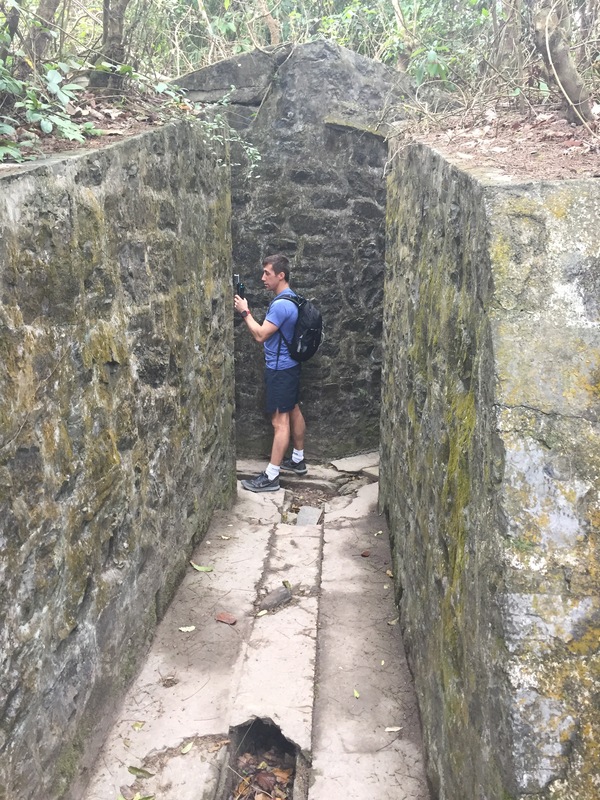 Cat Ba Town, which is the main tourist strip is a little unsightly as lots of high rise concrete hotels have gone up, however there are some great things to do around the Island so in my opinion it is worth grinning and bearing it! 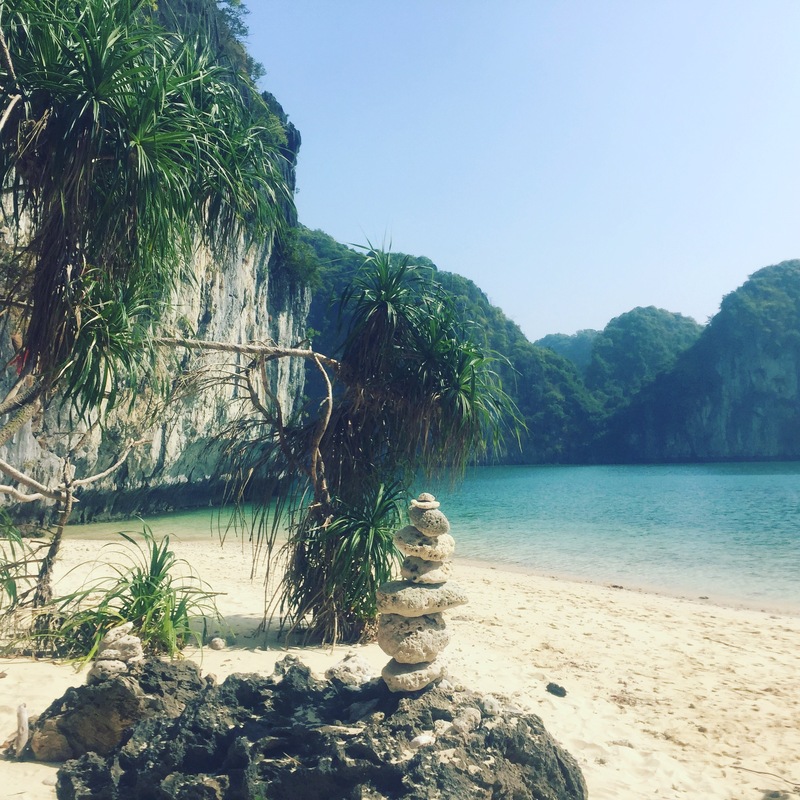 On our first day in Cat Ba we took a morning stroll along the waterfront to the neighbouring beaches, which was a beautiful start to the day. 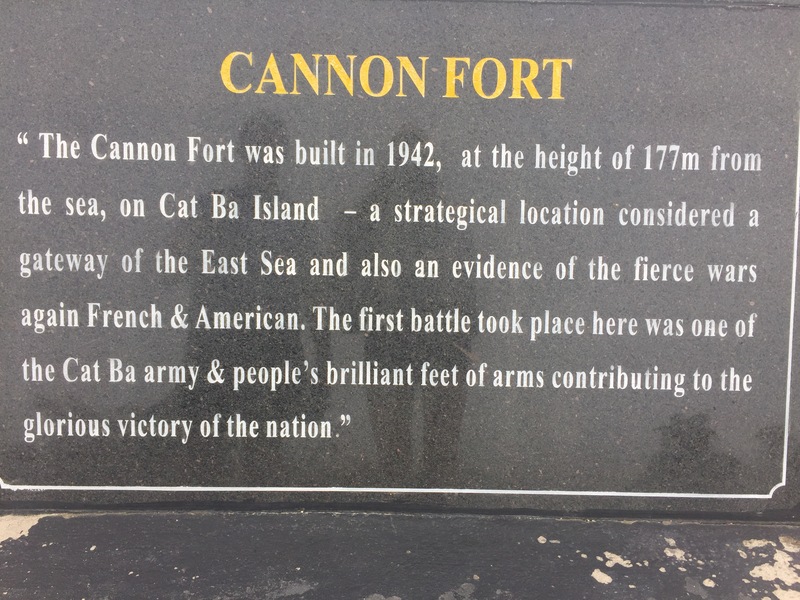 We then climbed Fort Cannon, which is a ruin of a fort up on the hill tops. 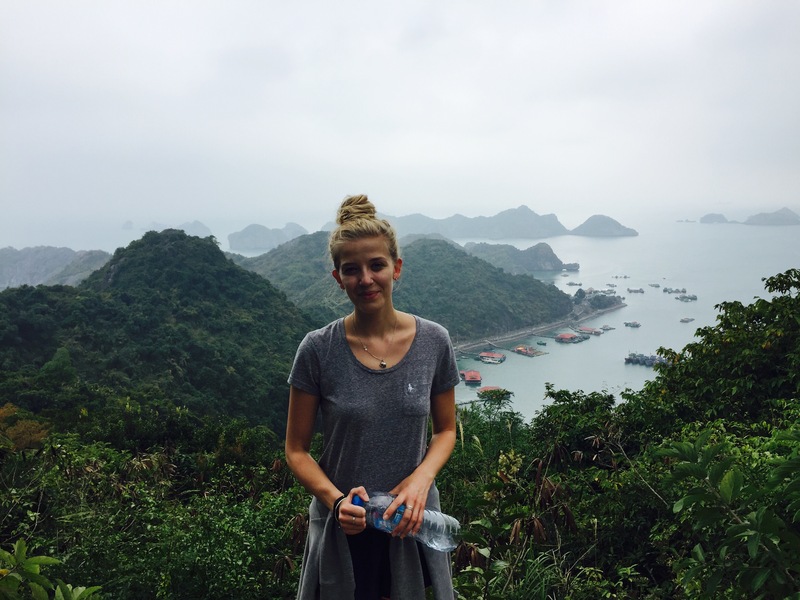 The walk up is hard but from the top you get panoramic views of Cat Ba and the surrounding islets; it’s definitely worth it! 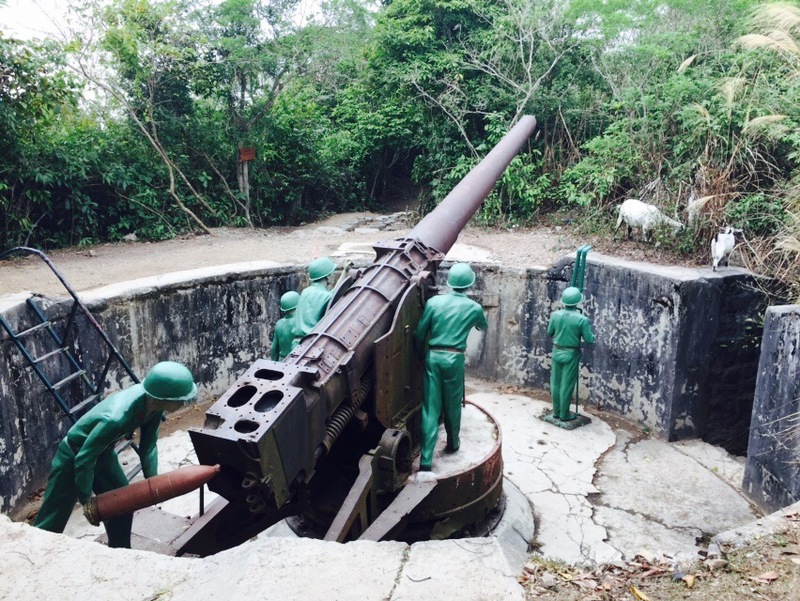 There’s also a lot to see of the fort itself, such as an old air field, cannons, trenches and viewpoints. Unfortunately there isn’t that much historical information, which would have been really interesting to read! 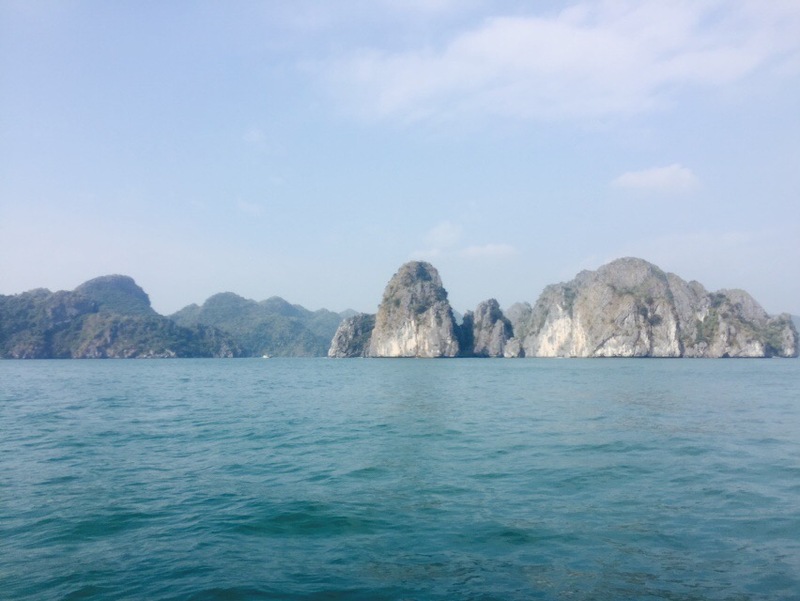 For our second day in Cat Ba, we booked onto a full day kayaking trip which would take us around Lan Ha Bay. This is exactly what we wanted to do, instead of just a boat trip we wanted to get out there and be active. After recommendations from the Lonely Planet and great Trip Advisor reviews we decided to book our tour with Asia Outdoors, a reliable and well-respected tour company with English speaking guides. 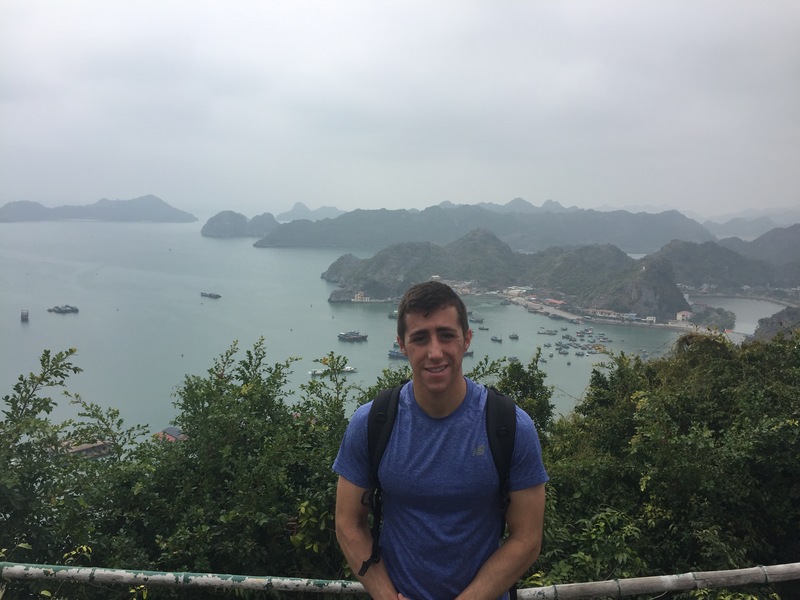 Overall I would say that Cat Ba Island/Lan Ha Bay was a success! It was so lovely to be by the sea (a first for this trip) and even better to experience a bay relatively untouched by tourists. I would recommend it to anyone.